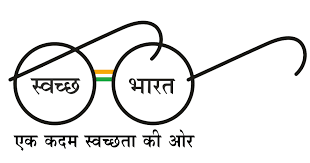 Swachh Bharat Abhiyan (Clean India Movement) is a campaign by the Government of India to clean the streets, roads and infrastructure of the country's 4,041 statutory cities and towns. It includes ambassadors and activities such as run, national real-time monitoring or spread of updated NGOs practices. The complaint was officially launched on 2 October 2014 at Rajghat, New Delhi, by Hon'ble Prime Minister Narendra Modi. It is India's largest ever cleanliness drive with 3 million government employees, and especially school and college students from all parts of India, Participating in the campaign. The BGSb University has a volunteer strength of students, scholars and teachers in all the departments. These volunteers are led by Dr. Pervez Abdulla, Coordinator. Initially, a cleanliness week was observed from the 25th of September to the 1st of October 2014, charged with a variety of activities ranging from students wielding the broom and cleaning the academic blocks, identifying innovative ideas to maintain cleanliness, and teachers motivating students to inculcate maintain their surroundings by prioritizing cleanliness in the workplace. Teachers, students and administrative staff of vatious departments cleaned not only their repective rooms but also the gardens and corridors of the academic departments along with different locations on the campus. Departmental seminars and workshops were held to discuss the necessity of enforcement of the cleanliness measures planned. Posters were put up across our campus and pamphlets distributed to spread awareness about cleanliness, hygiene and sanitation. Awareness about the significance of cleanliness was also spread through multiple means including ' Nukkad Natak" performed by students of BGSBU, various competitions, quizzes and interactive sessions etc. Students from each department initiated the drive by starting with cleaning their own departments and then pitching in to clean other areas of our university. The student/teachers volunteers not only cleaned the campus area, but also carried out a cleanliness drive by spreading awareness about hygieneity and sanitation among the villagers. Another drive was initiated in our univesity's hostel with all Wardens and students coming together to sweep the hostels clean. Views and suggestions were taken from the students in the form of essays and to motivate them to come with newer ideas to keep our hostels clean, including efficient waste disposal, the need for regular maintenance and educatiing peers about the significance of devote themseleves to the cause of building a hygiene environment. Our Vice Chancellor along with the volunteers/Medical Officer of the university visited all the departments, hostels to inspect their cleanliness and to interact with students and educating them about cleanliness and sanitation. Thus, Swachh Bharat Abhiyan was initiated with vigor and zeal in our university, and has thus carved a way for us to realize the objective of this nationwide movement in the days to come.